So you wanna get a new Pour Over? Well, you wouldn’t be the first person to be confused by the massive range of choice on the market right now. And it’s not exactly obvious what the difference is between a Hario V60 and a Kalita Wave. Well, luckily for you I’ve done all the research necessary (probably a little too much, to be honest!) 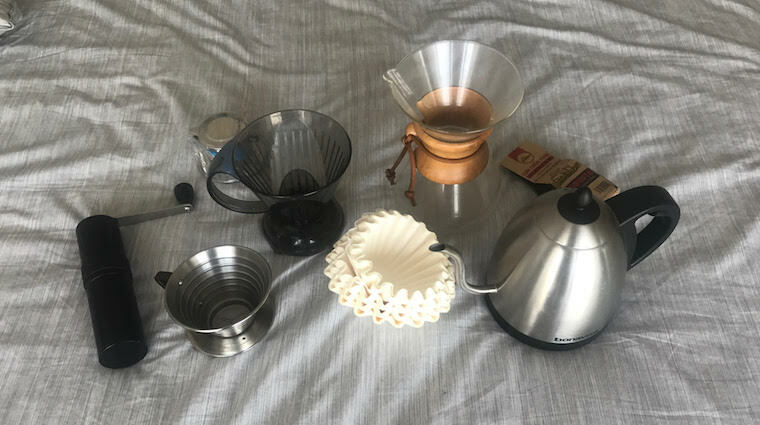 and found which Pour Over works for which type of buyer and which situation, all included in this in-depth 3000+ word article. The best all-round Pour Over is the Kalita Wave (Amazon link), which aside from its gorgeous proprietary body and wavy filters, has a flat-bottomed design that produces excellent, balanced coffee without being too unforgiving. 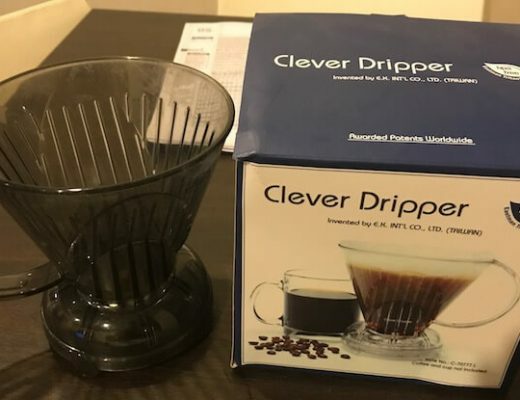 For beginners, a great alternative is the Clever Coffee Dripper (Amazon link) which uses a foolproof immersion method in a Pour Over shape that just about anyone can begin making great coffee with. 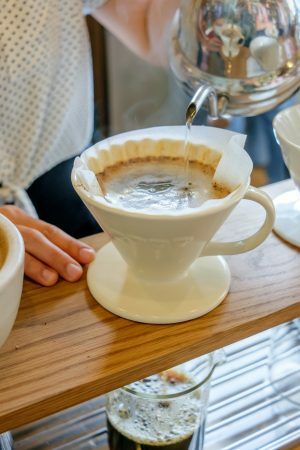 Why Is Pour Over So Hot Right Now? The high tech buzz of Silicon Valley in the 70s. The defiant mood of the Thirteen Colonies leading up to the declaration of independence. The ‘we’re all gonna get rich’ mentality of the California Gold Rush. In the last few years there’s been a revolution in the coffee world. Behemoth companies and ambitious startups alike have been releasing forward thinking marvels and contraptions designed to make the best cup of coffee possible. Nowhere is this more evident than in the world of Pour Over coffee. 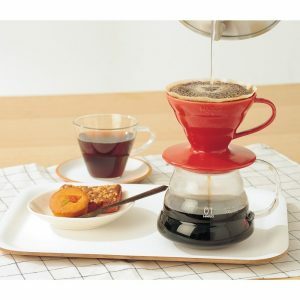 The Pour Over coffee maker, or manual drip coffee maker or Pour Over coffee brewer, is in vogue. 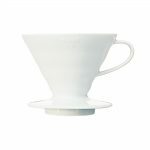 From the ridged funnel of the Hario V60 to the elegant glasswork of the Chemex and from the large-holed metal lattice of the Able Kone to the delightful simplicity of the Beehouse – there’s a lot of exciting stuff going down. And there are some damn good reasons people are excited. Pour Over coffee tastes superb when you know what you are doing. Broadly speaking, the taste is smooth, clean and bright. The method uses filters that produce coffee that has high flavor clarity and low body. This brings out the lighter, fruitier and acidic notes which really let your naturally processed Kenyan SO shine. Like the idea of coffee that literally leaves you with the taste of lemon or blueberries on your mouth? You’re in the right place. They are super easy to clean – throw the filter in the bin and you’re done – and you can get started for only $20. What are you waiting for? Here are six of the best Pour Overs on the market today. Some famous, some lesser known. All make great coffee and between them, it will cover every wish for any coffee enthusiast. I’ve tried to summarize the key benefits of each one. 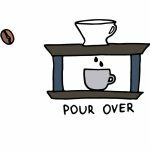 There are plenty of other Pour Overs that are impractical, difficult to get a great cup out of or otherwise have issues. Believe me, I’ve tried them. I don’t like to review poor products. So I won’t. Thin, ridged filters and narrow cone. Unique thick filters Wedge shaped cone, ribbed walls and two holes Part immersion part Pour Over. Flat bottomed design and waved filters Uses mesh filter. Very fast extraction. Elegant glass design. Brings out earthy, nutty notes. Easiest technique for beginners. Promotes an even extraction. Thick, full bodied taste. Brighter, fruitier notes shine. Outstanding flavor clarity. Great for beginners. Not real Pour Over. Sweet taste, low in bitterness. Suits burnt/caramel dark roasts. *Filters marked with a star (*) require custom filters. E.g. the Chemex requires that you buy Chemex filters to get the proper taste. 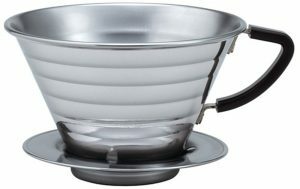 The Hario V60 is a pretty little design from a Japanese company that gives you a million different options. Made of copper, glass, steel, plastic or ceramic and available in colors of red, black, grey, white and more. Some of them are beautiful, too. I particularly like the copper one, all spirals and curves. This is the choice for customization and will satisfy your need for a bright pink ceramic pour over… if that’s what you’re into. The V60 is a narrow cone. It uses thin, ridged filters and there is a large hole at the bottom of the cone. This is all engineered for a fast extraction. This gives you a taste profile that is low in bitterness and will bring out fruitier and brighter notes in the coffee. It will, however, be less strong for the amount of coffee you use. This little contraption is considered the high point of Pour Over coffee – difficult to learn, difficult to master. And easy to mess up. A gooseneck kettle is basically a requirement and you may have to experiment a lot to get the right grind size and other conditions. It’s all too easy to make a brew with too short a brew time that underextracts and leaves you with weak and sour coffee. When you get it right though, it goes very well. 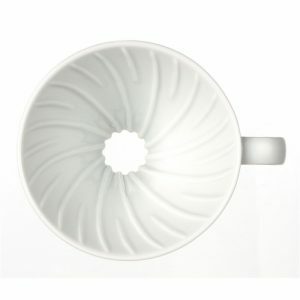 The ribbed spiral design helps with maximizing airflow and keeps the filter from sticking to the sides of the cone. This gives a more even extraction across the whole device rather than other Pour Overs that underextract leaving ground coffee sitting above the water line and overextract at the bottom of the cone. If you want to make the transition from ‘guy who knows a bit about coffee’ to ‘complete god of coffee making’ then get your hands around this little number. 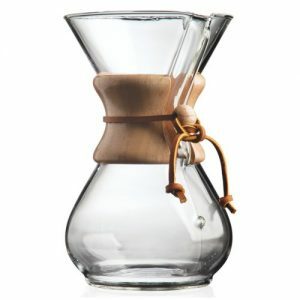 The Chemex is a beautiful and timeless coffee maker that has been popular since its invention many decades ago. Its wonderful design, an hourglass shape with a gorgeous wooden collar where the Pour Over and the decanter meet, is all one piece of kit. It has made its mark on popular culture after being featured in the James Bond novel ‘From Russia with Love’ and there’s even a testament to its beauty with a piece on display at the MoMA in New York! Believe me, this is something you want people to see on your breakfast table. 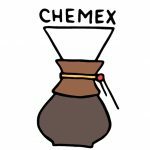 The Chemex uses its own filters that are very thick, up to 30% thicker than other Pour Overs. The water will flow through your ground coffee more slowly giving a longer extraction. You will want a coarser grind to balance this which means it is more forgiving for beginners. 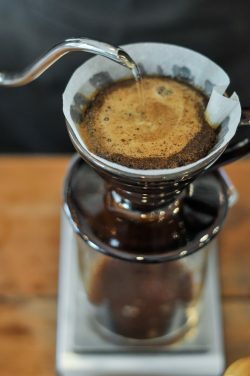 This Pour Over gives a very clean and smooth taste and is famed for being high in flavor clarity – many say it gives the highest complexity of any method of making coffee. It’s a great method to use when exploring dry processed and single origin coffee beans. When paired with the kind of sparkling tastes you get with naturally processed coffees you can achieve some amazing results. 1. This is not a Pour Over for the clumsy. It’s made of glass and will break easily. 3. Make sure you get the bleached filters – the brown, unbleached ones are notorious for leaving a papery taste in your coffee. The Bee House is a cute looking thing from Japan (spotting a trend yet?) All ceramic, with a wedge shaped body, ribbed walls and two holes in the bottom. The ceramic body looks great and feels weighty but be careful you don’t drop it or it will break. You have a huge choice of colors, steel gray, tomato red, yellow pepper and many more. 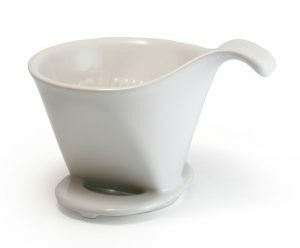 It even has a handle – useful if for giving your brew a little shake! The base is flat with two circular holes for the coffee to drip out of which lessens overextraction at the base and slows down the flow rate. This means you can use a coarser grind which adds to the forgiveness so you aren’t worried about getting through the pour too quickly and mess it all up like you can with the V60. The ribbed walls are similar to the V60 which stop the filter sticking the sides of the Pour Over and encourage an even extraction. There two holes on either side of the base so you can see the coffee dripping into the cup. This gives you useful information about the flow rate, information you can use to adjust grind size or your pour technique to better effect. What this all amounts to is it’s simple for the beginner. A novice can get one of these things and be cranking out quality coffee without the hours spent watching Youtube videos about spiral pours and extraction fine tuning. It’s a great intro device to the world of pour over and will last you as long you like. I find the Bee House is really nice to pair with earthier and nuttier flavors. One of my favorites is a smoky roast my local roaster gets from Northern Thailand where I can honestly taste the Peanut Butter on my mouth as I drink it! The Bee House has two sizes, large or small. I recommend the large. It’s big enough for a decent sized cup for one person, but like a lot of Pour Overs, you won’t be getting two cups of coffee out of it. The Clever Dripper occupies a unique position in the Pour Over world – it’s an immersion brewer. This means that the coffee and water are mixed and left to brew. Most Pour Overs use percolation where a small amount of water is slowly dripped through the coffee. The result is a unique taste. 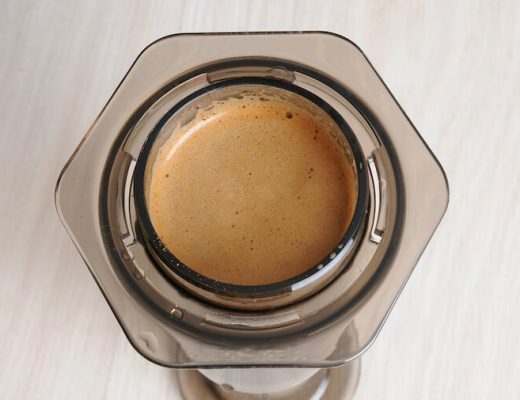 It is similar to a French Press – full bodied, good texture – although not quite the same as it still uses a paper filter that traps the coffee oils. It’s a fantastic beginner’s device. It makes the top 4 of my top 4 most forgiving brew methods and honestly could be number 1 – it’s so easy to make a good brew. The only caveat is that it’s not really Pour Over coffee. If that’s an issue then get the Bee House which is also very forgiving. This is also a great option if you’re looking to get someone into coffee. It makes great tasting brews that are accessible to all and it’s pretty hard to do anything wrong. Even grandpa could get the hang of this! The Kalita is a newer Pour Over design that comes from… where else? Japan. This one’s kicked up a storm in the last few years and there’s very good reason why so many coffee enthusiasts are saying that this is simply the best thing out there. The Kalita has a flat bottomed design similar to the Bee House which is more consistent than the cone shape of something more capricious like the V60. You’re looking at a slower flow rate which helps with forgiveness. It uses unique waved filters which are really its piece de resistance – a type of ribbed filters that work wonderfully in getting you an excellent extraction. The result is a balanced and sweet taste that is low in bitterness so long as you don’t mess anything up. The Kalita is my recommendation for the best overall option. If you’re a beginner looking for something simple to learn then go for the Bee House or Clever. If you’re experienced and want something to play with that has a steep learning curve, get the V60 or Chemex. for anyone else, this is your quickest route to great pour over coffee in your kitchen. The Able Kone is the black sheep of this list for a few reasons. It’s not a Pour Over, it’s just a filter that you can use with the Able Brewing System or also with the Chemex, V60 and other devices. It uses a mesh filter unlike every other device on this list that uses paper filters. That last point is why the Kone makes an appearance here. 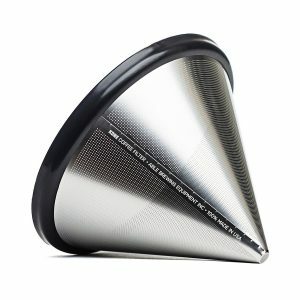 The mesh metal filter has fine holes that allow the thicker oils and particles from the coffee into the cup. This results in a creamier taste than the other Pour Overs which use paper filters that trap a lot of these micro-particulates and leave you with a cleaner but thinner-tasting cup. 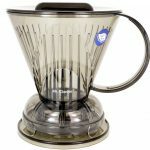 The Kone is a touch more expensive that some of the others on this list but it’s an absolute godsend for those who are looking for the thicker, creamier, full bodied taste of a true immersion brewer like the French Press which can really shine when paired with a smoky and dark Verona Roast. What Do Body And Clarity Mean? It’s difficult to talk about Pour Over coffee and not bring up flavor clarity. Clarity, or complexity, is the quality of being able to distinguish the tastes or notes of the coffee bean. Most Pour Over methods use paper filters that sift out the thicker oils and particles that muddy up the complexity in favor of a thicker, more full-bodied brew. The result is generally a clean-tasting cup that allows the brighter and more acidic notes to shine. There is a range of flavor clarity. The Able Kone with its large-holed mesh filter gives a full-bodied brew along the same lines as a French Press, the Chemex with its thick filters is reputed for its high complexity. I’ve given each pour over has a rating out of 5 so you can see which one works for you. Why Is Extraction In Coffee So Important? Pour Over is a wonderful way to make coffee. There’s no other method that highlights the brightness of fruitier and more acidic tasting coffees to quite the same dazzling degree. The downside is it’s a tough skill to learn, particularly getting an effective extraction. In brewing coffee, the extraction is everything. You’re aiming to let the coffee grounds and the hot water brew for just the right amount of time so the balance of soluble compounds that dissolve is just right. The science suggests you want and extraction yield of 18-22% for the best tasting coffee. A slight underextraction will leave you with an overbalance of sour and acidic notes and a general weakness whereas a slight overextraction leaves you with the later-extracting bitter compounds. This is complicated even more when you have an uneven extraction, i.e. the coffee overextracts and underextracts in the same brewer. This is a common issue in Pour Over where the coffee is more likely to overextract at the bottom of the cone and underextract and is also a symptom of an inconsistent (i.e. bad) grind. Think Goldilocks and the Three Bears. You are Goldilocks and you want an extraction that is just right. If you’re serious then you must get a gooseneck kettle. I’d go so far as to say if you’re getting one of the more advanced Pour Overs like the V60, Kalita or Chemex then it’s a necessity. It’ll take you minutes to pick up the art of directing a fine stream of boiling water evenly across and warp you to Pour Over nirvana. 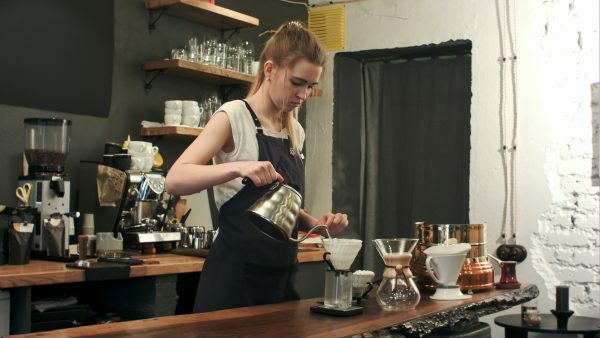 What Makes A Pour Over ‘Easy for Beginners’? More so than perhaps any other method of making coffee, Pour Over coffee takes skill. You’re gonna need to practice, practice, practice before you can start making top-tier coffee. 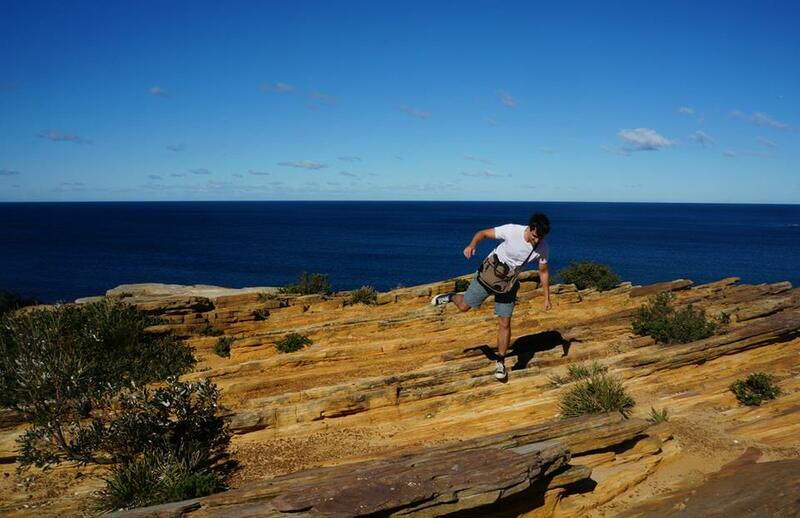 It’s a long road, but it’s one worth climbing. And there’s ways to get there faster. If you’re new to this, I suggest trying one of the more forgiving Pour Overs. It’s difficult to mess up a Kalita Wave if you at least have a decent grinder. And the Clever Dripper is even more idiot-proof than that! On the other hand, if you want a challenge the V60 is a good option. This one is super popular in coffee shops across the country and its fast extraction is a tough test. What Difference Do The Filters Make? I strongly advise you to use the specific filters for your Pour Over. Chemex filters for the Chemex, Kalita filters for the Kalita Wave and so on. They are unique for a reason. 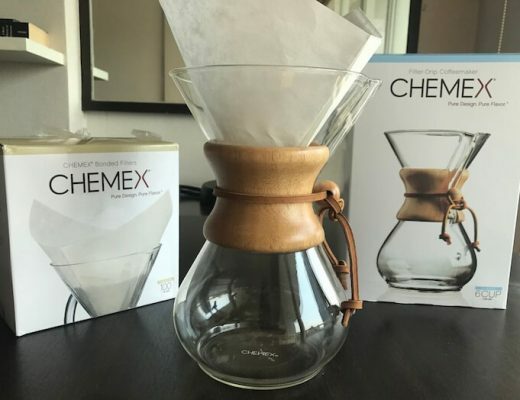 To give one example, the Chemex uses filters that are 20-30% thicker. This results in a stronger filtration with gives the Chemex its clean taste that is high in clarity. Does Size Of The Pour Over Make Much Difference? A Pour Over makes coffee by having water poured through it. So you can make any amount of coffee using the smallest Pour Over there is. In practical terms, if you want more room to play with or prefer making larger size cups (16oz+) then I’d definitely get a larger size. Either way, I’d only make one Pour Over coffee at a time. Making two cups with one batch of coffee in a large Pour Over is a bit of a nightmare for logistic reasons and extraction reasons. There are two exceptions to this. The Chemex is an all-in-one Pour Over and decanter, so you can only make as much coffee as fits in the device. The Clever Dripper brews (mostly) by immersion, so you also can only make as much coffee as can fit inside. The bloom in a pour over coffee. Does The Material Of The Pour Over Matter? Some of these Pour Over devices come with a spectacular range of sizes, colors, and materials. These don’t make much difference. That beautiful copper metal pour over might look the absolute business but it will perform just the same as the cheap-feeling plastic one. The material doesn’t affect the taste of the coffee, the design and the filters do. Supposedly some materials are better than others for temperature control, they’ll retain heat a little better than others. Personally, I’ve not noticed a difference in my cup but I do not like my coffee hot. One positive in favor of plastic is that it’s usually the cheapest and always the most unbreakable. Can I Just Get An Autodrip Coffee Maker Instead? Autodrip coffee makers get a terrible rep and not without good cause. They are associated with bad, bad coffee. Despite this, they are an excellent suggestion providing you’re willing to pay a lot more than a Pour Over device. Get an SCAA-certified coffee maker and you’ll have something that can make coffee as good as anything with all the convenience of an autodrip. You can read more here if this sounds a bit more like your cup of tea. Either way, the best drip coffee makers can be manual or automatic. Which Pour Over you get is only a small part of the puzzle. Fantastic coffee comes from the right extraction and the thing most people get wrong is using a cheap burr grinder or (god forbid) a blade grinder. The quickest way to fast-track yourself to top-tier coffee is by having smooth, consistent, evenly ground coffee. The way to get there is by investing in a high-quality burr grinder. Here’s my article on why you need to grind and here’s some smart recommendations for a beginner on hand grinders or automatic grinders. Hario V60 –> Buy if you’re looking for a challenge with great reward. Chemex –> Great for those who like their fruity or acidic coffees. 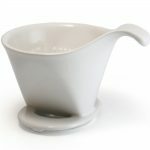 Clever Dripper –> Best choice for the beginners (although it’s not actual pour over) or the lazy. 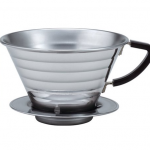 Kalita Wave –> Best all round option. Able Kone –> Perfect for those who like their coffee full-bodied. Still can’t decide? Get the Kalita. The oldest and the best! I have been using them for years!